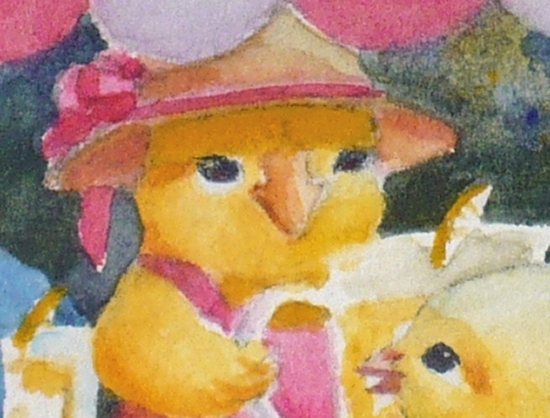 It all began when Mother Hen sent Ferdinand to the store to buy some nice berries for the family dinner. Ferdinand does not enjoy shopping, so as it turns out, he was not the best choice for the errand. Nina likes to shop, but she was busy with chores. Even so, Mother Hen should have sent her. Anyway, Ferdinand decided to grab something quick so he could get on with his day. There were frogs to chase and baseballs to bat and Things to Do. Summer days, though long, are not long enough to waste time shopping. So as soon as he got to the market, he went directly to the fruit section which was outside under a big green awning. 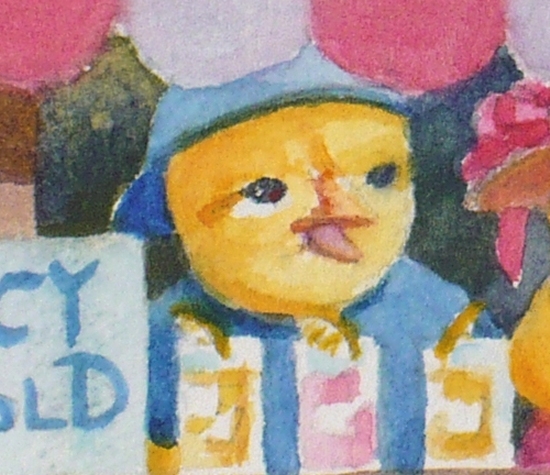 There he saw many small baskets of colorful berries. But what caught his eye were big netted bags of bright yellow fruit. Ferdinand loves the color yellow. They looked delicious! He bought three large bags and set them in his wagon. "I'll surprise my mom with these. They ought to be enough to keep everyone happy for a while," he thought, proud of his selection. But when he got home, Mother Hen was aghast. "Lemons!" she cried, making a sour face. "What will I do with those?" She shooed Ferdinand away and went to the store herself which was a very good idea. Ferdinand was crestfallen. He told Nina what happened, and to his surprise her face brightened. "Lemons!" she exclaimed. "I know what to do with those." And she told him her Big Idea. That is how F&N's Lemonade came to be. 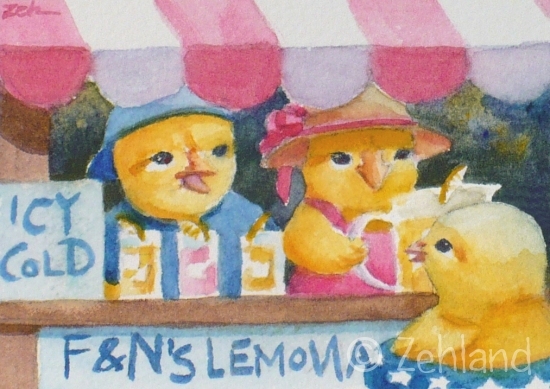 Nina's freshly squeezed lemonade was such a big hit that they set up shop for the summer. You can find it if you happen to stop by Zehland on a hot, sunny summer day. Look for their stand near the community swimming area where they sell regular or pink. The lemonade is icy cold, but the welcome is warm! 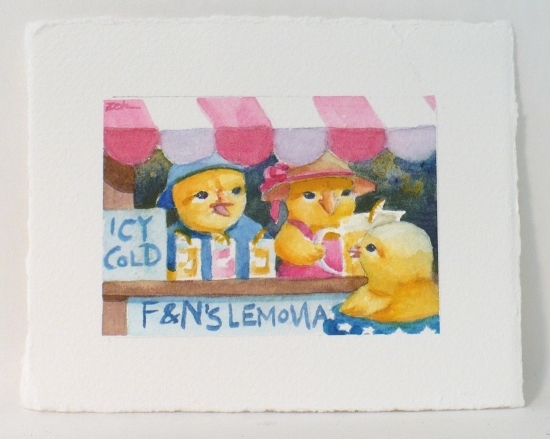 Lemonade Entrepreneurs is an ACEO sized original watercolor painting - 2-1/2 x 3-1/2 inches with an extra one inch border around the painting. See you tonight at the lemonade stand!